The Finisar FTLF8524P2BNV 1000BASE-SX Ethernet transceiver is a Duplex SFP transceiver for optical communications, rated for distances up to 500m and a maximum bandwidth of 4.25Gbps. The FTLF8524P2BNV transceiver operates at 850nm wavelength. 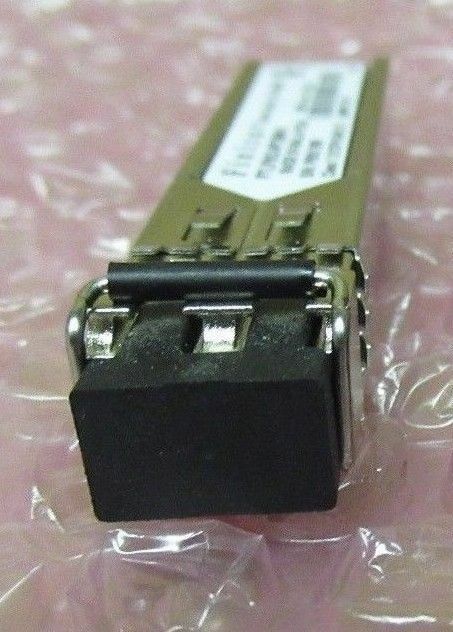 4Gb/s 850nm FC -20 to 85C, Rate Select SFP. Finisar FTLF8524P2xNV SFP transceivers are compatible with the small form factor pluggable MSA.